Happy Spring, friends! I'm so excited to share the first post in a new blog series on Smart Southern Style. I have teamed up with 3 fabulous local bloggers to bring you a new series called "4 For Fashion". We want to show ladies of all ages that you can find something stylish and age appropriate just about anywhere. The "4 For Fashion" series will feature clothing pieces from the same store that fit our individual styles. For our first post, we teamed up with a local boutique, Lizard Thicket Charlotte. Lizard Thicket is located at Blakeney Shopping Center in South Charlotte. They have some great trendy pieces and everything is so affordable, which y'all know I love. The gals who work there are all so sweet and helpful too. Everything you see pictured here (clothes, jewelry and handbags) is all from Lizard Thicket. I had a hard time selecting an outfit because there were so many cute options. I finally chose this black dress with embroidered flowers for multiple reasons. Three of my favorite trends right now are bright colors, embroidery and ruffles, and this dress has all three! It has a flattering fit and ties at the waist so you can adjust it for the most flattering look. The dress is the perfect length and the best part...it is only around $40! Lizard Thicket Charlotte has a lot of great accessories as well. I love beaded bracelets and they have a nice selection. I chose 4 to stack together that matched my dress. I also found some fun gold earrings with blue fringe at the store that brought out the blue in the dress. I paired the dress with some bow wedges, but you could easily dress it down with flat slip on sandals for a more casual look. I am sure this dress will be in heavy rotation this spring and summer, as it is comfy, cute and so easy to throw on. Now I would like to introduce you to the other 3 boss babes that you will see in the "4 For Fashion" series. First is Rachel Brown of Queen City Chic. 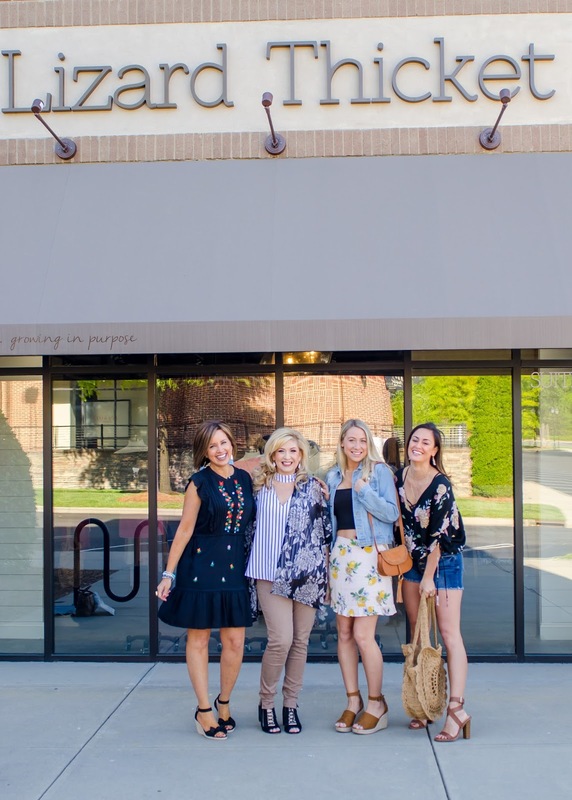 Rachel has great casual style and is a wonderful resource for anyone local in Charlotte about all things going on in the Queen City. Her blog is launching soon, so in the meantime, you can find her on Instagram. For this feature, I love the mini skirt with lemons that Rachel styled. Lemons are so trendy right now and such a fun print for spring. The light denim jacket is a great staple piece that can be worn year round and is perfect over this crop top when it is a little cooler outside. The next blogger babe is Barbara Brooks. Barbi's blog is called Southern Blonde Chic. Barbi has a great timeless style while also incorporating trendy pieces. I am a big fan of kimonos, and love the floral one that Barbi selected for this photo shoot. I also like the pattern mixing with the striped top underneath. Don't be afraid to mix patterns, ladies! 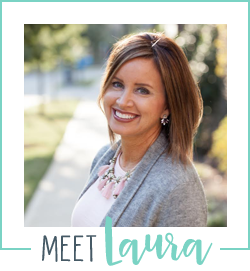 Last but not least is LauRen Merola Strager. LauRen's blog is called All of the F-Words (Fashion, Food, Family & Fun). Not only is LauRen stunning (she was in the Top 5 of Miss USA), she also has great style and shares both casual and dressy looks. I am a big fan of denim shorts and like how LauRen styled these for a dressier look. The floral blouse she paired with the shorts is so versatile and could also be worn with jeans or a skirt. 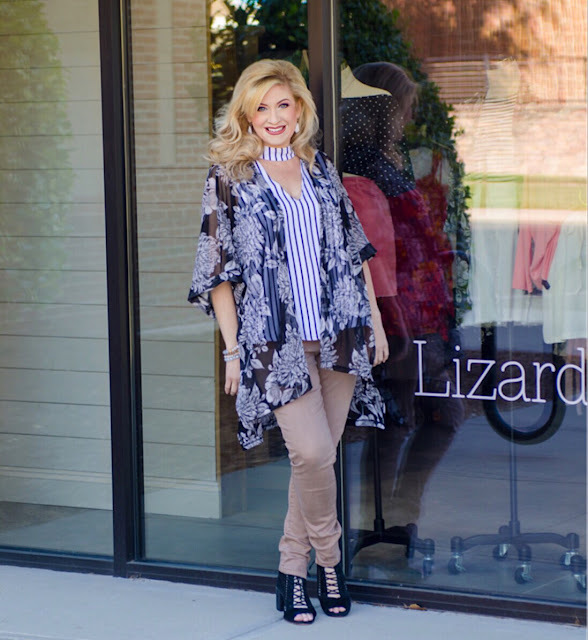 You can find all of these looks at Lizard Thicket Charlotte in Blakeney Shopping Center. 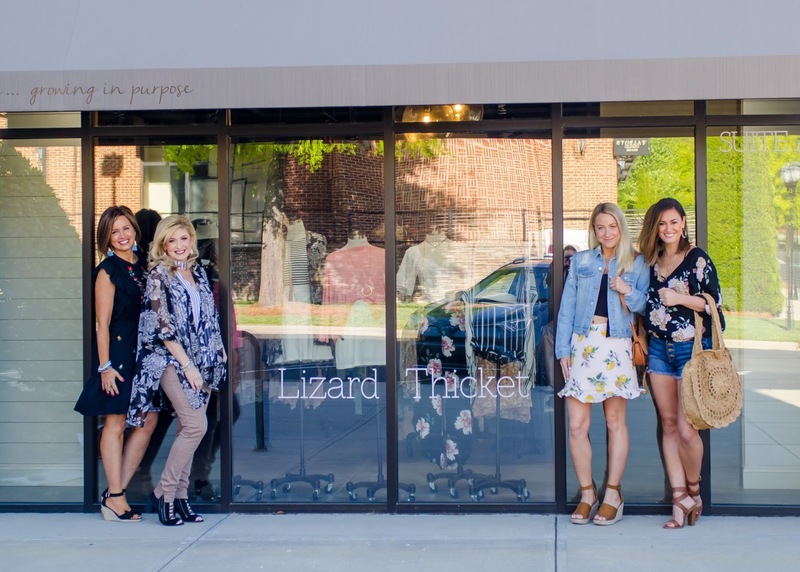 You can follow them on Instagram at @lizardthicketcharlotte and reach them by phone at (704)246-6412. For those of you not in Charlotte, you can order directly off their Instagram or via phone & they will ship the items to you. Big thanks to Amanda Lee Photo for the photos in this blog post. Stay tuned for another edition of "4 For Fashion" coming soon. If there is a particular style or shop you would like to see featured in this series, please comment below or send me an email. Thank you so much for stopping by my little corner of the internet! I appreciate you all!